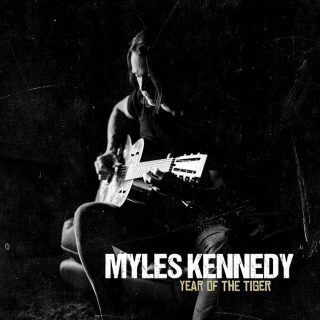 Myles Kennedy : Year Of The Tiger album download | Has it Leaked? Year of the Tiger is an upcoming solo album by Alter Bridge and The Conspirators frontman Myles Kennedy. Year of the Tiger is Kennedy's first solo album to be released and second solo album to be recorded. Unlike Kennedy's previous work, it is rumored to be more blues-oriented with guitar, mandolin, banjo, and lap steel being featured. The album will feature an appearance by Zia Uddin, Kennedy's drummer from his time with the Mayfield Four. The album art, release date, and track listing are not available at the moment. Year of the Tiger is scheduled for a Spring 2018 release, according to Napalm Records' Facebook page. So freaking excited about this, this guy is a legend in the making. Glad to hear you’re excited. I’m pretty excited too. What did you make of the title track? The website does a pretty bad job in informing you that someone replied to your post! I haven’t listened to it, I will take the album as a whole, with no spoilers. It does. Didn’t see this until now. Good approach. I’ve already listened to the title track, so I can’t say I’m doing the same though. and it’s sounds pretty amazing by the tracks are out (devil on the wall is meh) but..this kinda of acoustics stuff remeber me so much of Chris Cornell. it’s all I can say guys.